School has been in session for weeks in many parts of the country but here in California (Southern California anyhow) a lot of schools don't begin until after Labor Day. 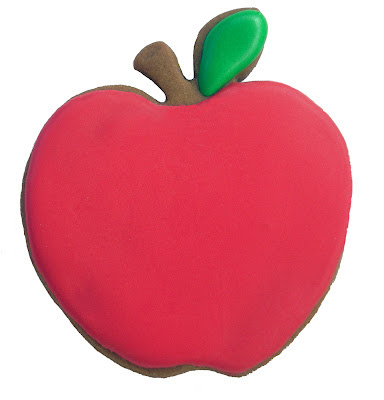 Where did the traditional apple for the teacher originate? School starts about the time apple season does and so it makes sense but . . . When I made my apple cookies I had a little trouble getting the stem and leaf out of the cookie cutter - as usual! I have used various things to poke them out in the past without much success. Today after cutting out at least a dozen apple-shaped cookies and struggling with the stem and leaf I tried flouring the whole inside of the cookie cutter not just the cutting edge. It worked perfectly - I tried it again and the next cookie stuck! I could cover the poke marks with icing but I like the look of some bare spots on cookies. The cookies fit (tight squeeze) in a 4" cellophane bag. 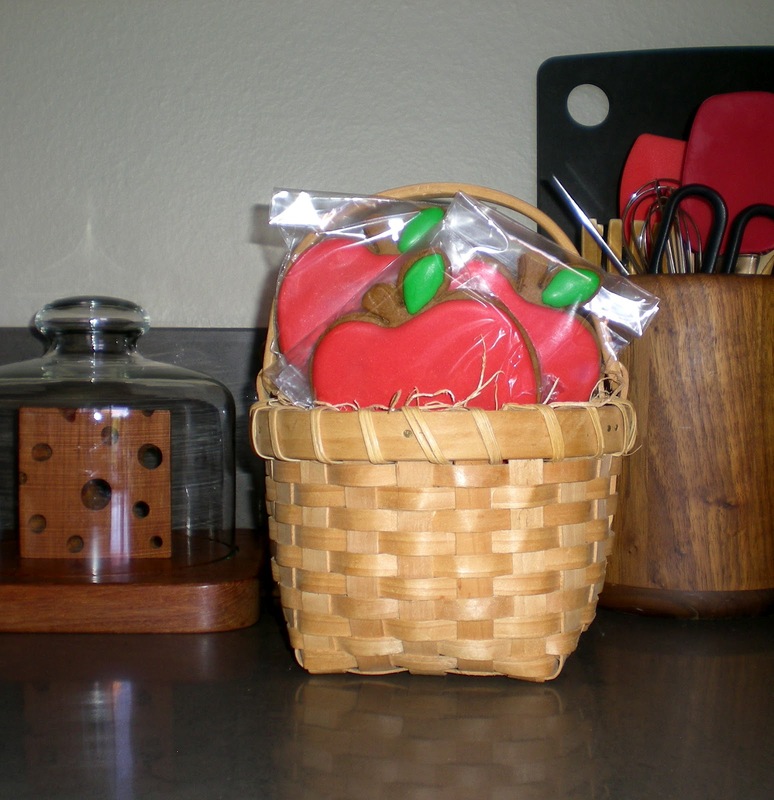 I like to put wrapped decorated cookies in a basket and put them out on the kitchen counter instead of on a plate or in a cookie jar. I've learned a lot from cookie blogger tutorials. Like "shake the cookie to smooth out the icing" - it works! How'd I do the 3-dimantional look on the stem? I was trying to get the stem out of the cookie cutter - it was an accident! Thanks for the nice comment! 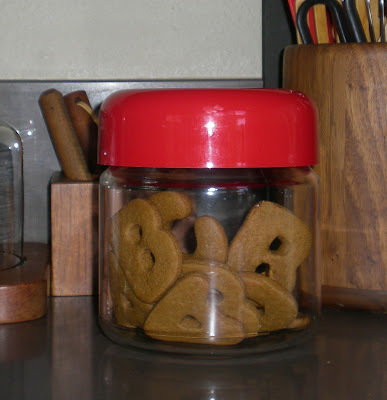 I love your red apple and I love the look of the undecorated fat letters.